Welcome to one of the most affordable waterfront living complexes in Pinellas County, Boca Ciega Point. Conveniently located less than a mile from the white sand of Madeira Beach, you can enjoy your private courtyard, oversized one car garage with water filtration system and washer/dryer, and dock outside your back door in this beautifully updated waterfront villa. 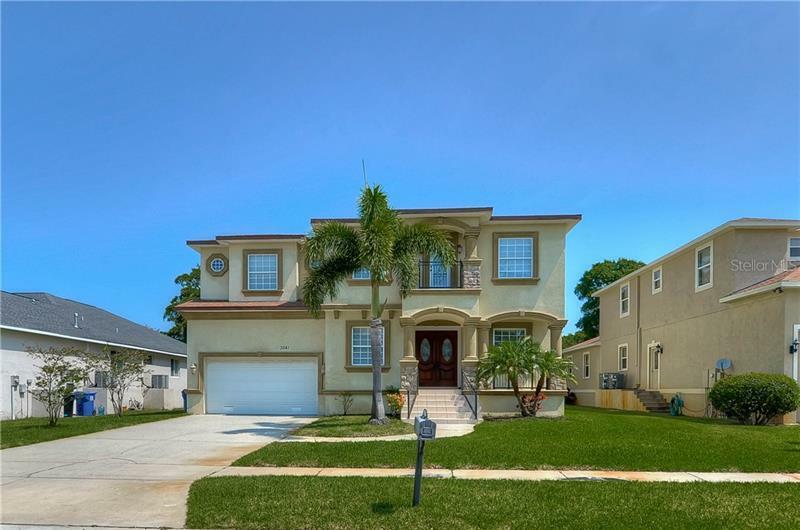 Two king size bedrooms with two baths, closets galore, huge living/dining room, and enclosed Florida room offer almost 1700 square feet of living space. Beautiful updated granite/stainless kitchen with reverse osmosis system and open to the dining room creates a great flow. Dock replaced in 2014 and A/C heat pump and air handler in 2017, along with electrical upgrades, water heater, roof and inside/outside paint make this villa practically maintenance free. Double pane, hurricane resistant and tinted sliders to the dock add to your sense of security along with 24/7 gated and security guarded entry. Enjoy two clubhouses, heated pool, tennis courts, bocce ball, shuffleboard, putting green, workout room, and active social and boating clubs in this 55+ complex. With its affordable pricing, you can now live where others vacation!